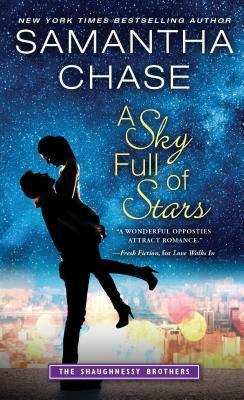 (1) This is Our Song and (2) A Sky Full of Stars are books four and five in the Shaughnessy Brothers contemporary romance series by Samantha Chase (links are to my reviews on Goodreads). The third book, Always My Girl, was such a disappointment that I wondered whether the series was worth finishing, but these were both excellent by comparison, and I especially liked A Sky Full of Stars because Owen, the smart and socially awkward brother, is my favorite. I think the heroine in that book, Brooke, is also the most believable of all the female love interests Chase has introduced. There is one more book due out in October - Holiday Spice - and I could request a review copy from NetGalley, but since the books are usually available on Hoopla, I will probably end up saving it to read during the holiday season when I have a newborn and limited brainpower for heavier books. 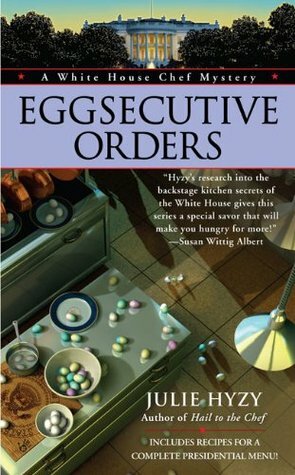 (3) Eggsecutive Orders is the third book in the White House Chef Mystery series by Julie Hyzy. I'm trying to pace myself a little bit with these books since I have book four, but not book five, but this one had a really great opening scene and it was pretty hard to put it down once I got going. The details of the actual mystery didn't end up interesting me that much, but meeting Ollie's mother and grandmother and seeing a little more of her life outside of the kitchen was enjoyable. 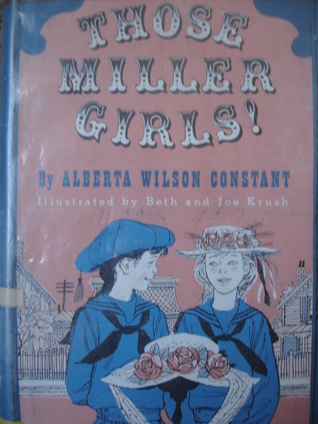 (4) Those Miller Girls! 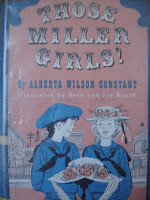 by Alberta Wilson Constant is a middle grade historical fiction novel about early 1900s Kansas. I was originally drawn to it because the illustrations are by the Krushes, but I wound up liking the writing even more than the art. I have been thinking of it as The Penderwicks meets Betsy-Tacy. Read my review here. (5) The Magic Summer (called The Growing Summer in the UK) is a 1960s middle grade novel by Noel Streatfeild, whose Shoes books I have loved. This book was quite different from her earlier books, but it was really enjoyable and I read it in a single evening. I reviewed it here. (6) Beans on the Roof is a chapter book by Betsy Byars, which I found on Open Library. It's a simple slice-of-life story about the Bean family, all of whom try to write poems in solidarity with the oldest child who is trying to become published in a book at school. My review is here. 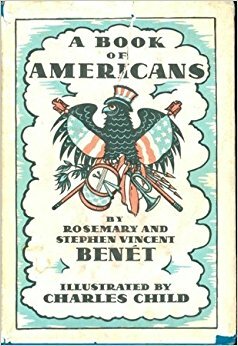 Finally, (7) A Book of Americans by Rosemary and Stephen Vincent Benet is my first August read for the Old School Kidlit Reading Challenge (the focus is on nonfiction). It's a collection of poems about famous Americans which I really enjoyed. The review will be up next week. 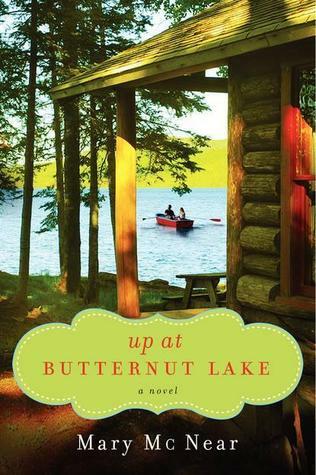 Up at Butternut Lake by Mary McNear is the first book in a women's fiction series set on a Minnesota lake. Though there is some romance, so far there is nothing scandalous that makes me need to skip pages or stop reading, so that bodes well for sticking with the series. The writing is not great literature or anything, but it is a lot better than in many of the cozy mysteries and romances I've been reading. My other ongoing adult read is still Life Among the Savages by Shirley Jackson, which I have barely touched in two weeks. We own a copy now, but it is in the same volume with the sequel, Raising Demons, and my husband is reading that, so I have to wait until the book is free again or listen to the audio, as my Open Library copy expired today. Juvenile Fiction Writing by Mabel Robinson is also technically a book for adults, but because it's all about children's books, I'm reading it (for the second time) for the Old School Kidlit Reading Challenge. Robinson later published a second book on the same topic, which I would also like to read this month, but I wanted to refresh my memory about the original first. A review - and possibly an entire series of reflection posts based on my reaction to this book - are forthcoming. 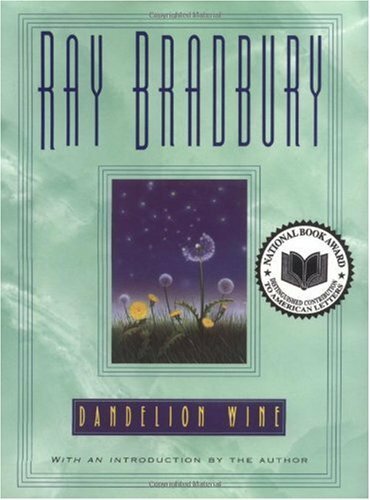 I've also just started re-reading Dandelion Wine by Ray Bradbury for the first time in over ten years. It was a favorite when I was in high school and college and it's the quintessential summer novel.Since I like to savor the language, it might take me a little while to finish it, but I'm really looking forward to it. I also found a 1980s mystery novel on Open Library that instantly appealed to me because it is set where I went to college. 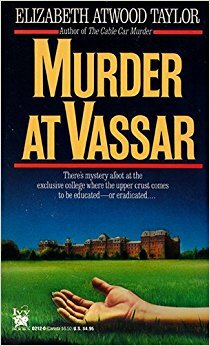 Murder at Vassar is set during the private detective main character's 15-year reunion, where she is called upon to help solve a murder that occurred on campus just before the alumnae returned. I'm enjoying the author's descriptions of different Vassar landmarks,most of which were there when I was there, even if the mystery itself is so far not that exciting. Finally, I'm still reading A Picturesque Tale of Progress: Beginnings I, which I will review for Old School Kidlit and Rightfully Ours, which I am finding very slow, partly but I really want to support Catholic authors, so I do plan to finish it. 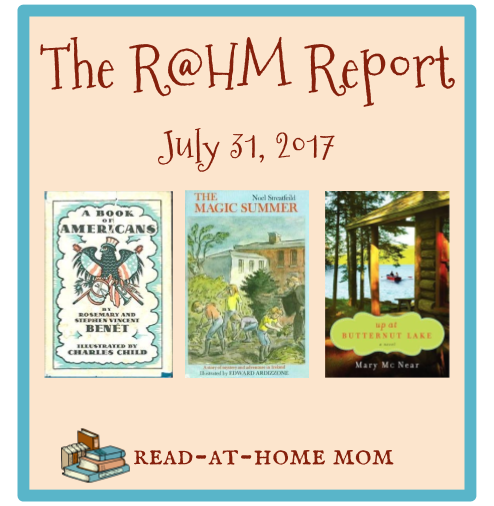 It's Monday, so I'll be linking up with Unleashing Readers / Teach Mentor Texts and Book Date for It's Monday! What Are You Reading?